As part of National Crime Victims’ Rights Week, the Pennsylvania Senate passed a package of bills designed to protect crime victims and ensure they have more opportunities to participate in the judicial process. We have many protections for the rights of the accused, but too often the victims of crime are not treated fairly by our criminal justice system. The bills passed by the Senate balance the scales of justice, hold criminals accountable for their actions, and stop the re-victimization of those who have already been through too much. Senate Bill 399, which I am co-sponsoring, creates a comprehensive bill of rights in Pennsylvania for survivors of sexual assault, including rights pertaining to the collection and use of evidence. This week I announced forthcoming legislation which seeks to provide financial assistance to communities adversely impacted by a power plant closure within its jurisdiction. Under my proposal, the Department of Community and Economic Development will make state grants available to localities that experience a reduction of at least 20% in property tax collections and payments in lieu of taxes received by a power plant. Eligible political subdivisions will be able to apply for temporary relief for a total of four years. Initial awards may be up to 80% of the demonstrated tax loss in year 1, 60% in year 2, 40% in year 3, and 20% in year 4. Absent a massive consumer bailout of the nuclear industry, estimated at upwards of $500 million annually, Exelon intends to close its Three Mile Island nuclear facility later this year, and I am deeply concerned about the local impact that will be felt here in Dauphin County. While I oppose burdening Pennsylvanians with costly subsidies for the benefit of big, highly profitable energy corporations, I believe we should support our local schools and municipalities through this challenging transition. Two additional bills approved by the Senate and sent to the House this week. 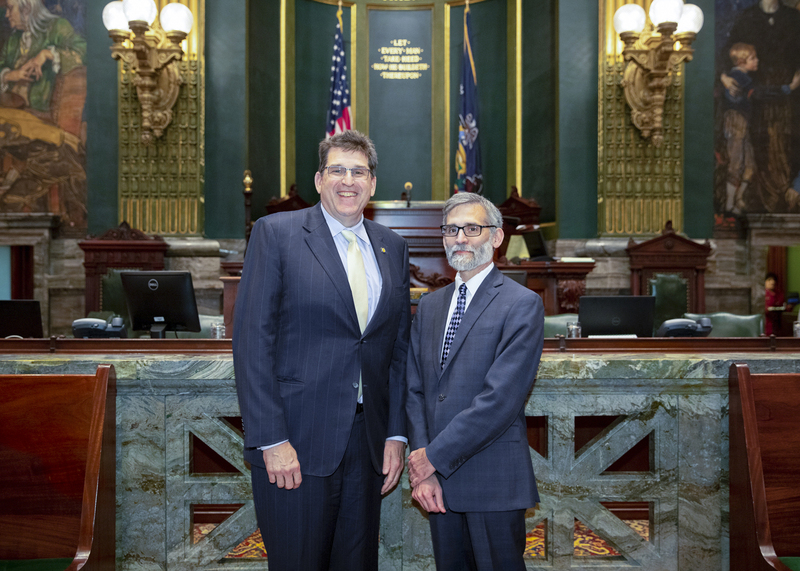 The Senate returns to voting session on Monday, April 29, at 1 p.m. You can watch session live at SenatorDiSanto.com.